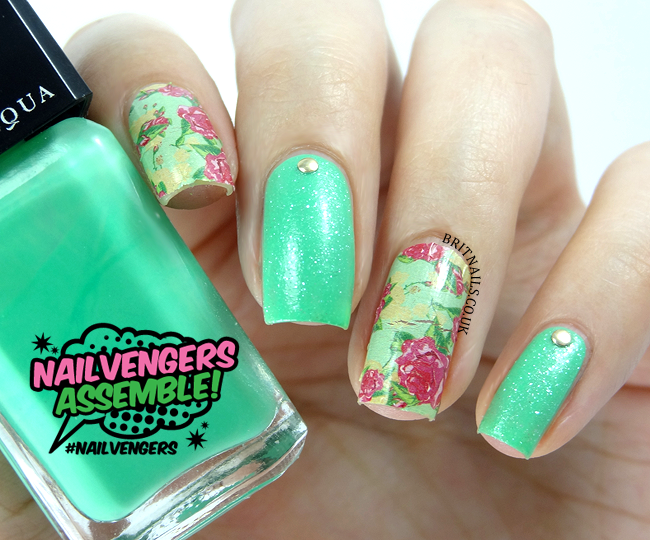 I can't believe we're on to the 4th Nailvengers post already! 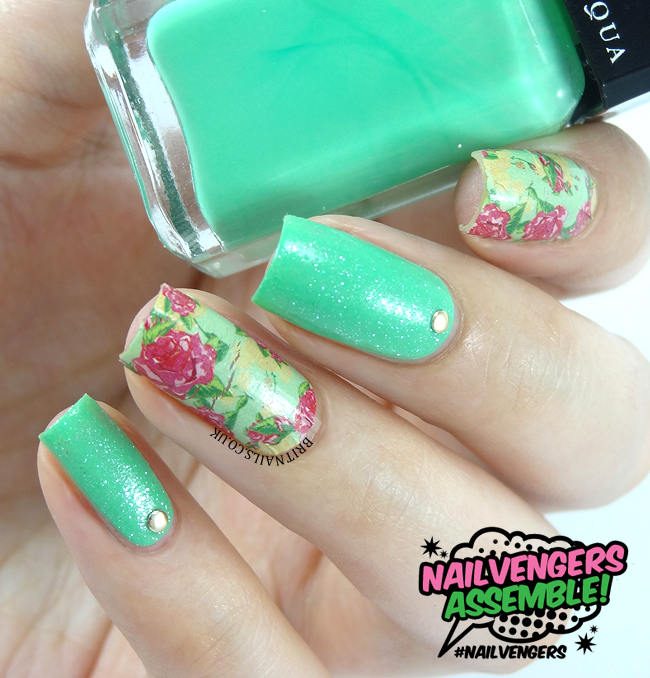 This month we're doing florals and I've gone for a green colour scheme (no surprises there) Don't forget to check out what the other girls have done and like us on Facebook! Florals and I have a rocky relationship, sometimes they come out great, sometimes rubbish! There's not much middle ground. I decided to play it safe and try out some new water decals I got from Born Pretty Store* (here, pattern #3) I cut out a rough nail shape from the sheet and applied to my index and ring fingers, trimming the edges when the decal was in place. They were pretty simple to apply, similar to a nail wrap but easier to smooth down. 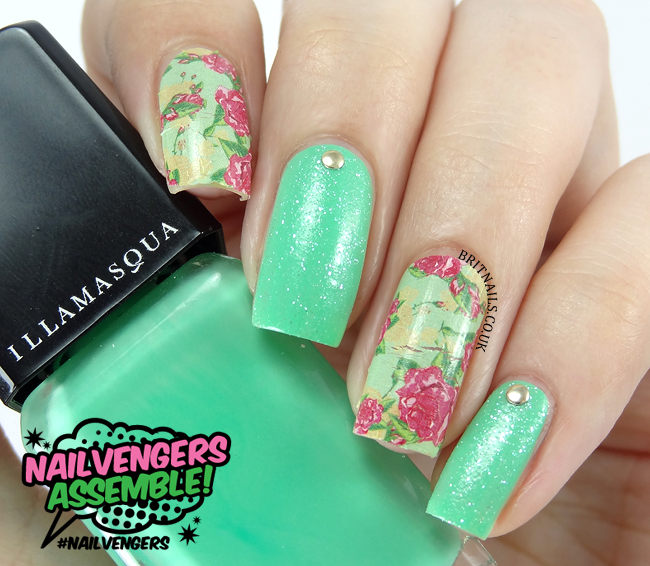 On my middle and pinky fingers I used Illamasqua Nomad (one of my favourite ever greens!) and a coat of Dance Legend Sahara top coat*, which gives a subtle, sparkly textured effect. I added some small gold studs, also from Born Pretty store, to finish the look. I really like how it turned out, especially since I was worried I wouldn't be able to pull this one off! I don't care if they are decals, they look beautiful!